Celeste and I had to hit Sport Chalet over the weekend. Hey, it was raining (for the first time in, uh, 163 days I believe) and I wanted to look for a gift for Allie. 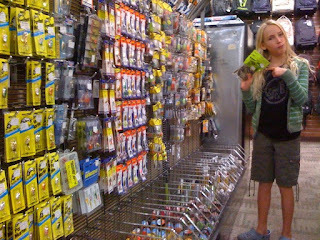 Celeste really enjoys sporting goods stores - mainly the outdoors sections (thankfully) and always makes a beeline to the fishing supplies at the Sport Chalet. 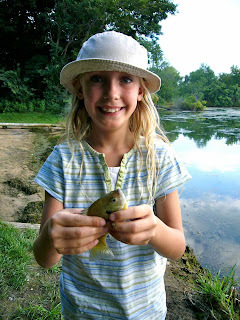 I swear that the grrrl could spend hours there, checking out each and every piece of bait and tackle. 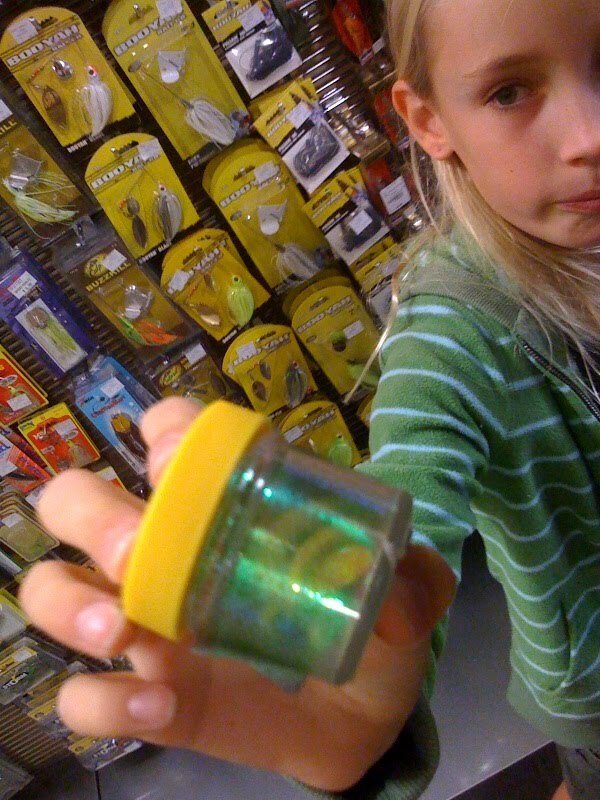 Since making the big move to CA, she's become aware of saltwater tackle and is amazed at it's size relative to the stuff we used in Wisconsin. ...making it perfect for after-dinner outings. Just don't forget to slather on the DEET first. 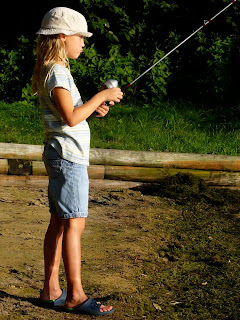 She became quite adept at casting with the Zebco starter rod/reel combo that sadly broke in the move. Almost every outing resulted in at least one catch, even if it was a tiny bluegill. 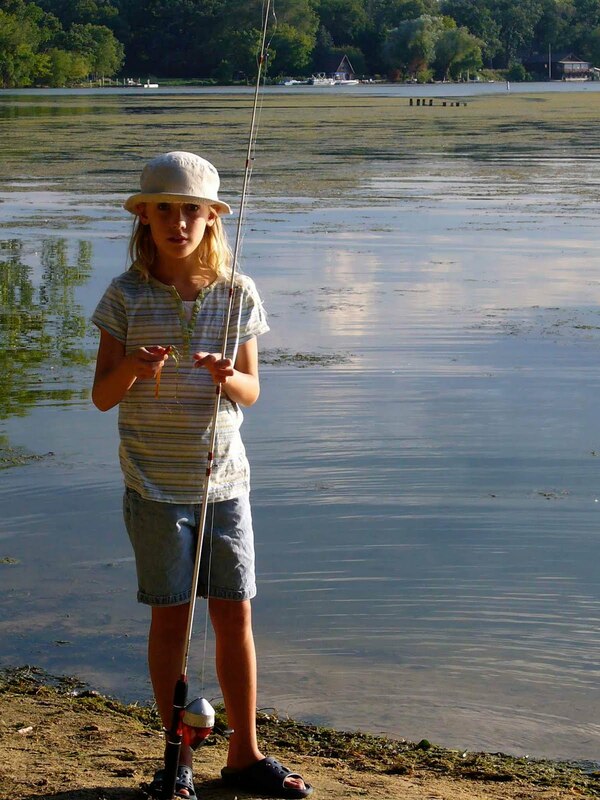 But reeling in the big one was never the goal. Just the chance to see/feel/smell one of these aquatic creatures was more than satisfying. 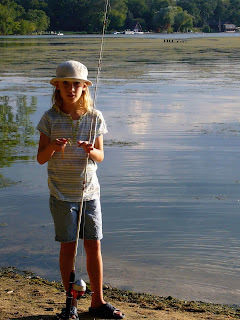 I guess I better return to Sport Chalet in the coming weeks and get her a replacement rod and reel to hit some of the fishing spots of San Diego County with her.